It’s a frustrating situation: you go to the grocery store and see that the price of milk has gone up once again. You have to delay your road trip because you can’t afford to pay more than $4 a gallon for gas. Health insurance is costing more and more. It takes a lot of money to survive nowadays. It takes thousands of dollars each month just to cover a person’s basic needs. Fortunately, veterans will see some financial relief in their benefit checks as of next year. The Social Security Administration recently approved a decent cost-of-living adjustment (COLA) for 2019. In recent years, the COLA has only gone as high as 2 percent. Starting as early as December, military retirees and veterans who receive disability pay will see a 2.8 percent increase in their benefit checks. This is the highest rate increase since 2012. The COLA is automatic for Social Security recipients. It is also automatic for other federal benefits, such as pay for military retirees. 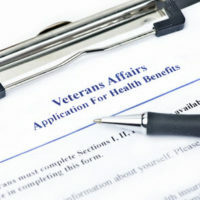 However, Department of Veterans Affairs (VA) payouts need to be authorized every year. Congress has been working hard to apply the COLA to veteran’s benefits. President Donald Trump signed the measure in early October. This measure allows veterans to receive pay increases in various areas, such as disability pay, clothing allowances and compensation for dependents. The pay increases for these and other benefits will go into effect in January. This COLA affects 67 million Americans and is based on inflation rates. This recent increase is great news for veterans, who often struggle financially after leaving the military. They often rely on their monthly payments to pay for their day-to-day expenses, and this increase will certainly help in that regard. Veterans and advocacy groups have tried for many years to make COLA adjustments for veteran’s benefits automatic, but to no avail. This recent approval for an increase is a huge step in the right direction. House Veterans’ Affairs Committee Chairman Phil Roe, R-Tenn., is excited about the increase, as it will provide much-needed assistance to veterans. How much will this 2.8 percent increase affect a person? For a veteran receiving $1,500 a month, the COLA increase will amount to an additional $500 per year. This amount can greatly help in paying for food, utilities, gas and other expenses. This cost of living increase is great news for veterans who are struggling to pay bills in today’s economy. Prices are rising everywhere, and sometimes it is hard for the common people to stay afloat financially. Veterans are entitled to a variety of benefits, but sometimes there are delays and denials keeping those who have served our country from getting what they deserve. If you have been battling the VA over the benefits you are entitled to receive, let the Law Office of Michael Lawrence Varon in White Plains help you win your fight. You have a lot at stake and he can help you with your claim. Get started by calling 914-294-2145 to schedule a consultation.